"Did it happen?" I asked my father instantly after I woke up on the morning of 20 March 2003, to which my father replied with a smile, "Yes". Yes, the United States of America and its allies began their attacks on Iraq. Yes, my life was going to change. And it did. Since that rainy day I spent in the countryside because we were scared Saddam Hussein was going to use weapons of mass destruction against Kurdish cities, my life has never been the same. Growing up in the 1990s in northern Iraq, where the international committee had imposed a "no-fly zone" sanction to prevent the Iraqi army from aerially attacking us, I lived a childhood isolated from the rest of the world. The sanctions aimed at the Iraqi government did more harm to the people than to the government; it resulted in the death of over 500,000 Iraqi children. My only window into the outer world was a satellite dish that helped my dream grow about how I'd one day see that outer world. It seemed like an unreachable dream up until the US announced war on Iraq. I saw hope for the first time, and my hope represented the hope of one whole nation. There are many disparities between the views on the war. I understand the American point of view. Millions of Americans opposed the war, believing that their sons and daughters did not need to sacrifice their lives for a country thousands of miles away, nor did they need to spend billions of dollars on a war they deemed unnecessary. Their concerns are now justified, given the damages that war spending hurt the US economy severely. Moreover, millions feared the bloodshed the war would cause. And it did; thousands of Iraqis and coalition soldiers have lost their lives since 2003. The views on the war within Iraq at first were largely positive. Shia Iraqis in southern Iraq, subject to continuous persecution from Saddam Hussein, were pro-war. Sunni Iraqis, even though treated better than the rest of Iraqis, were split between those who supported Saddam and those who backed the war. Saddam had dragged Iraqis into two wars: a bloody and lengthy war against Iran and a short war with everlasting effects against Kuwait. The citizens, rather than the government, were paying for both. Tired of Saddam, the 2003 war seemed like a lifeline for most Iraqis. However, ten years after the war, Iraqis in mid- and southern Iraq haven't gotten much in return. They have exchanged a dictator for insecurity, sectarian conflicts, chaos and corruption. 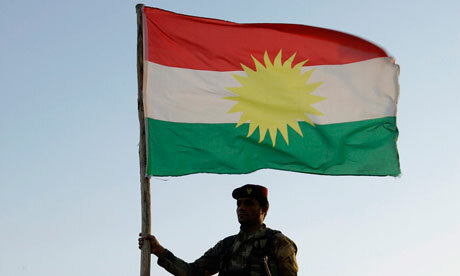 Kurds – that forgotten nation before the war– have definitely benefitted the most from this war so far. Throughout his reign, Saddam constantly tried to obliterate Kurds. Having lost two uncles throughout the Kurdish struggle against Saddam, I knew what removing a dictator such as Saddam meant. It would cause bloodshed, yes, but I was sure Iraqis – and especially Kurds – would be better off without him. From 1991 up until 2003, Saddam cut off any financial support for Kurds and we had to live on donations from international organizations, a few low-budget job contracts and the smuggling of goods mostly from Iran and, to a lesser extent, Turkey. Starvation was rampant; ordinary citizens suffered from the UN trade embargoes. Many people had to sell items within their homes in exchange for food. Ever since 2003, doors have opened for us from every direction. Kurdistan of Iraq, also known as the "other Iraq", is now a safe haven where thousands of Iraqis – including Christians – have sought shelter. Economically, we've started having a boom and the economy is on a continuous rise. Living standards of the majority of Kurds have improved. Salaries have increased exponentially. Numerous job opportunities are opening up. International companies and organizations are constantly flowing into Kurdistan. Kurds now receive 17% of Iraq's annual budget. Besides that, Kurds currently sign oil contracts with many international oil companies independently from Baghdad. Therefore, while most people agree that the US invasion of Iraq has not been justified by the chaos and insecurity it left Iraq in, the US gave Kurds the self-rule we were promised by the Treaty of Sèvres almost a century ago, but which was later robbed from by that of Lausanne. Kurdistan of Iraq is now a hub that attracts millions of investors from around the globe. While Americans and Iraqi Arabs criticize the US for the war, Kurds are grateful and are holding on to and building up on the lifeline provided them.